We barely made in time for National Biscuit Month, but make it we did. What we've got here is a roundup of notable Breakfast biscuits in Memphis. Biscuits can be tricky. I've made 'em straight off the box of Bisquick, and they've turned out dry and crumbly — like special effect out of The Mummy. I've made 'em with buttermilk (a specialty item if there ever was one) from a recipe off the internet, and they were just okay. I've never really mastered it. But these folks have mastered the breakfast biscuit and knocked it straight out of the park. Bryant's is the mothership when it comes to Memphis breakfast biscuits. They've been slanging biscuits for 50 years. You can get your biscuit with pork tenderloin, city ham, smoked sausage, country ham, bologna, bacon, or steak. But I went with classic egg and cheese. Mmmmmmmmm. This is one buttery, perfectly done biscuit, with egg, and melty American cheese. Super good. Among the things Memphis has in abundance are breakfast options that do simple extraordinarily well. Bryant’s Breakfast is one of those places. It’s not much to look at inside — your basic dive with somewhat spartan accommodations — but the biscuits are addictive. Get here early, by the way, if you plan to visit. The line of hungry diners stacks up quick. Justin Allen of Curb Market used to be the private chef for Curb owner Peter Schutt. "He liked my biscuits so much, he offered me a job at Curb," he says. He says the secret to this biscuit is in its shape — square. With round biscuits, the cut-off cast-off dough is reincorporated into more biscuits, which can make them tough. There's none of that with the square biscuit. Allen says this approach is what makes his biscuit light and fluffy — soft on the inside and crispy on the outside. Curb's take on the egg, too, is different. Instead of slapping a slice of cheese on top, grated, sharp cheddar cheese is added to the soft scrambled eggs. Great care is taken with the meat as well. They know the pigs from which their sausages are made. The hams are brined for seven days, the sausage is cooked sous vide and ground in-house. This one is a beast of a biscuit. Hearty as hell. A favorite. While the menu has since expanded and will change again in a week or so, Edge Alley's opening menu was built around the biscuit. But it's not the biscuit you know. "Our biscuit's a little different," says Timothy Barker. They go at their biscuits with a breadmaking method. It makes this biscuit something that can be easily picked up and eaten without falling apart. Barker says that when they first opened they may have been a little bit too fancy with their biscuits, adding herbs and peppercorns. He quickly discovered that folks like their biscuits recognizably biscuit-y. The egg is done over-easy, which you don't see every day with a breakfast biscuit. What this means is a delicious runny yolk, with the biscuit made for sopping. It's one of life's great pleasures. Barker knows this. "We try to keep it as simple as we can." This one is both dense and fluffy. A real delight. “Elwood’s Country Biscuit” is the first breakfast biscuit I tried at Elwood’s Shack. This delicious mixture of sausage, applewood bacon, ham or, if you’d like, an egg and/or cheese, could be a lunch or dinner biscuit. These are big biscuits. You could make a meal out of them. My next Elwood’s biscuit was something completely different: a breakfast biscuit with homemade pimento cheese and a vine-ripened tomato. I’d never thought about pimento cheese for breakfast, but it works. They already had their pimento cheese sandwich made from Bednarski’s pimento cheese recipe, so a pimento cheese breakfast biscuit was a no-brainer. But what about those biscuits? Since he doesn’t use lard, Bednarski uses a high-gluten flour to keep the biscuits from falling apart when you eat them. 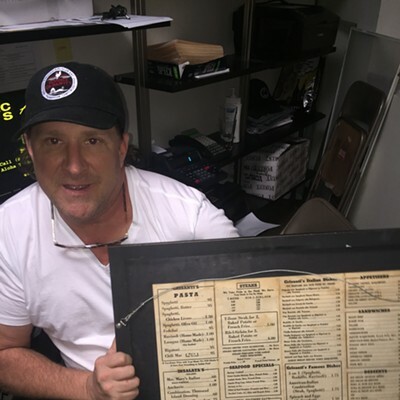 Note: Bednarski’s ribs and corned beef will be featured on chef “Burgers, Brew and ‘Que” at 8 p.m. Oct. 9 on the Food Network. I loved the classic sausage-and-egg biscuit on a great-tasting biscuit at Three LIttle Pigs Bar-B-Q. They use a commercial biscuit - Rich’s - for their breakfast biscuits, which include all the combinations of bacon, sausage and egg, says manager John DeMarco. I asked chef/owner Ryan Trimm which of their biscuits was the most popular. The Rooster, he says. Trimm wanted to include a chicken biscuit on the menu, so he came up with fried chicken on a biscuit He added honey because he likes honey on fried chicken. He also likes it spicy, so he uses tabasco honey on his chicken and biscuit. If you order the “Mother and Child Reunion” you get egg with the fried chicken and honey, Trimm says. Their handmade biscuits are made with flour, buttermilk, butter, salt and baking powder. “I like our technique - hand kneading the butter in and slowly folding it together to get pockets of butter. When butter melts it steams. It’s actually air pockets inside the biscuit. I’m a big fan of Pancake House, but I seem to get everything else except the breakfast biscuits. I recently tried one of their bacon and egg biscuits. It was terrific. Very flavorful. Everything a breakfast biscuit should be, as far as I’m concerned. They have other types, but my server, Michelle Gerlach, suggested I try the bacon biscuit. And you can have breakfast biscuits for lunch and dinner at Pancake House. You most certainly know the work of Calvin Farrar. It's the Tigers and Grizzlies and Redbirds and snowmen, etc., that decorate the windows of Huey's and the Bar-B-Q Shop and various other businesses around town. His clientele includes Margarita's, Pancho's, Cash Saver, Superlo, and Silky's. His method is pretty straightforward. He paints the window white, makes an outline, and then gets to work. It takes him a couple hours to complete a work. A lot of his work is seasonal. He does different seasons and holidays, from Easter to Christmas. At home, he works in oils. Currently, he's been working on landscapes. He'd like to put together a show. With his adorable tigers and grizzly bears, Farrar's is not the type of work to court controversy. Though one time, he had to rework a mural, which had a grizzly pointing to a sign. It looked like the grizzly was giving the finger. Farrar says he never has to pitch his work. "Most people are calling me," he says. P.O. 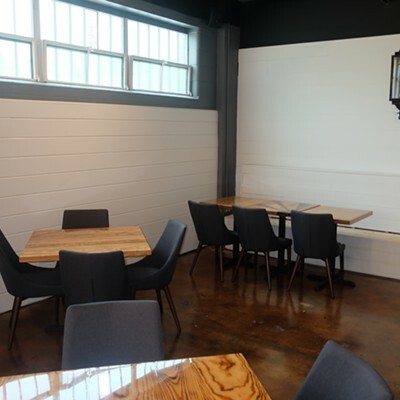 Press restaurant opens Oct. 1 in Collierville. With apologies to Eudora Welty, “Why I Live at the P.O. Press” might soon be a common expression among food lovers. 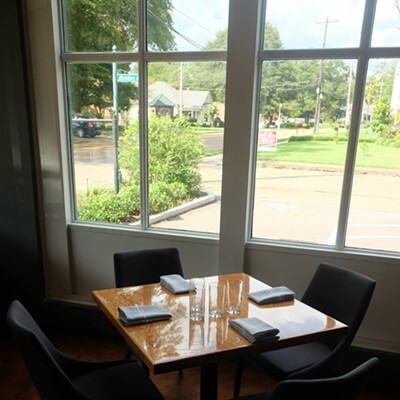 P.O Press is the new restaurant at 148 North Main Street in Collierville. The century-old building once housed the U. S. Post Office and, later, the Collierville Herald newspaper. 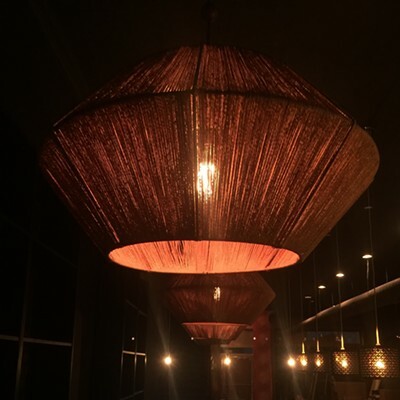 Recently, it was the 148 North restaurant. The sleek, contemporary restaurant, owned by chef Jimmy Gentry and sommelier Chris Thorn, will open Oct. 1. 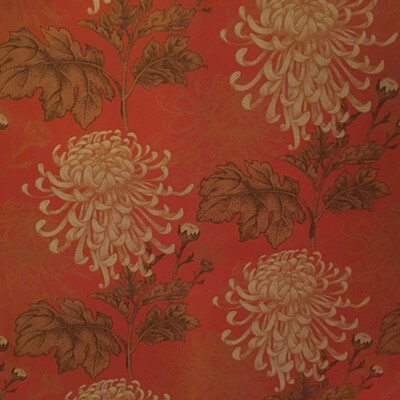 It will feature New American food, Gentry says. For instance, they’ll serve something familiar such as green beans, but include delta Bacon, black garlic and cornbread crumbs with it. 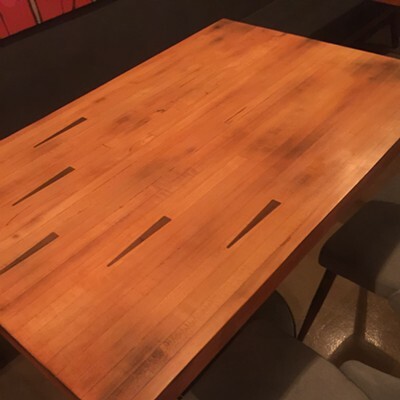 Gentry and Thorn designed and built or had built much of the furniture in the 4,000 square-foot restaurant. 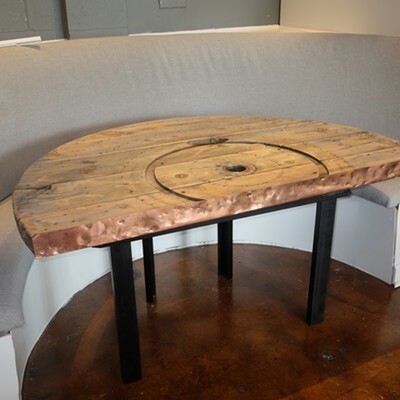 Giant electrical wire spools from a supply company next to Gentry’s Paradox Catering were cut in half, copper strips were applied to the side and used as table tops for the banquettes, which they also built. 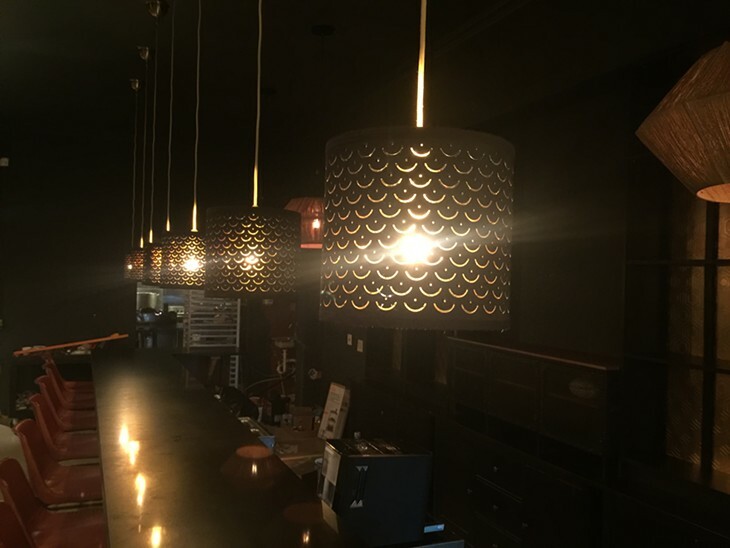 Lanterns in the dining room came from Horseshoe Casino’s Magnolia restaurant, where Gentry once worked. 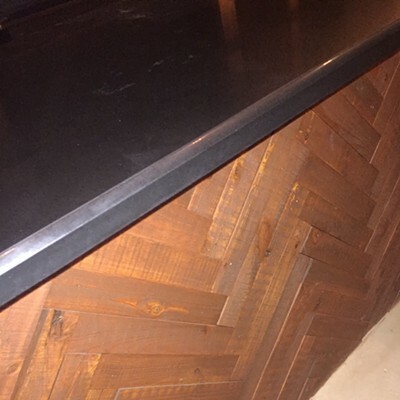 Old barn doors are incorporated into the bar area. 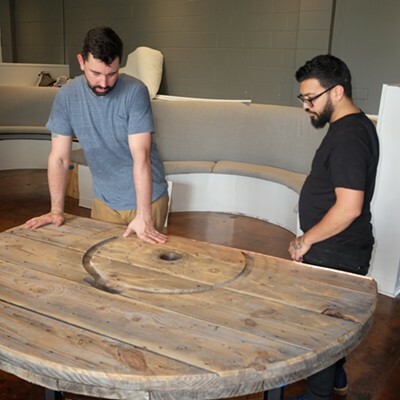 One of the doors was cut in half and made into a conference table. Katie Dailey is making a large three-dimensional installation, which will go on the west wall. 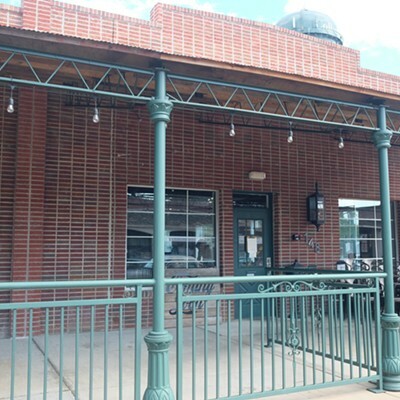 As for the total package, Thorn says, “We wanted to bring downtown midtown dining out to Collierville. We want to be able to provide the same type of experience. We’re moving it to the suburbs, closer to the people, closer to the farms. And then providing all that with a more relaxed, casual service that is still polished and attentive. 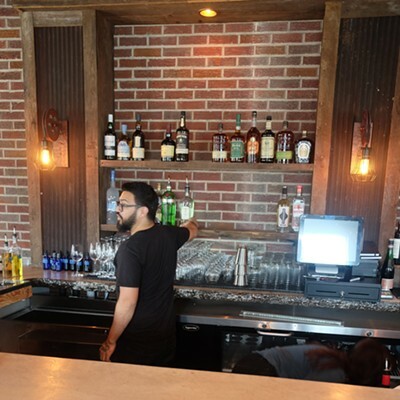 Manning the bar will be Mitchell Marable and Nick Manlavi. The restaurant will be open for dinner and a 9:30 a.m.Sunday brunch.begnning Oct. 7 Lunch will be served at a later date. Garrett Quinn's rise at Celtic Crossing begins as many of these stories do with karaoke. "I was doing karaoke," says Quinn, "when Brandi [Miller] walked in." Bruce was then working the kitchen at Celtic. There was some talking and then Quinn says he went to the restaurant like "a lost dog." Miller eventually left and the kitchen was his. "I started at the bottom and worked my way up," he says. Quinn went to culinary school, but feels it's prudent not to mention it. Otherwise, it looks like you're bragging. But, you could say, with Celtic's new menu and its new flair, there's plenty to brag about. Quinn says he inched out of the Irish bounds as much as he dared. Like the quesadillas. "I'm trying to be different, eclectic," he says. And like the gnocchi, an Italian dish if there ever was one. He justifies it by noting that it's traditionally made out of potatoes. There's also a chicken curry, which is not like a yellow curry but is an English curry. What does that mean? Well, it's less on the turmeric and more like gravy. Quinn says he's got his eye on the four types of clients Celtic sees. And, he's got nachos for each of them. 1. The morning crowd. They are looking for something quick and easy. For them, he recommends his chicken curry nachos. 2. The lunch crowd. They grab a sandwich and go. The pimento and bacon nachos are perfect for them. 3. The nice dinner crowd. They are the wine drinkers. He'd suggest the Irish nachos with corn beef and the Angry Mary Rose sauce, a spicy take on this traditional mayo/ketchup and Worcester sauce. 4. The late-night crowd. These are the folks for whom nachos were designed. For them, it's the CBCR nachos all the way. That's chicken, bacon, cheddar, and ranch. Philipp von Holtzendorff-Fehling says he would often see people leave the Crosstown Concourse and return with big bags of food. (Those bags were not, by the way, from Mama Gaia.) He's seeing those same folks lining up at his newest investment Saucy Chicken. Opening Saucy Chicken was simply a matter of giving the people what they want, not a 180 turn on healthy eating principles. As von Holtzendorff-Fehling explains, Mama Gaia's organic ingredients were expensive, which made the meals pricy. Chicken, even locally sourced, antibiotic-free chicken is cheaper. Hence, Saucy Chicken was able to offer bigger plates of food for cheaper prices. "If people are happy, then I'm happy," he says. von Holtzendorff-Fehling says he had little to do with the concept — just that he wanted something unique that would fit the Crosstown vibe. He brushes off the lack of transparency regarding the other investors, saying it's not all that unusual. Ultimately, he says, “Mama Gaia is my passion and a business. Saucy Chicken is not a passion, it’s a business for me." 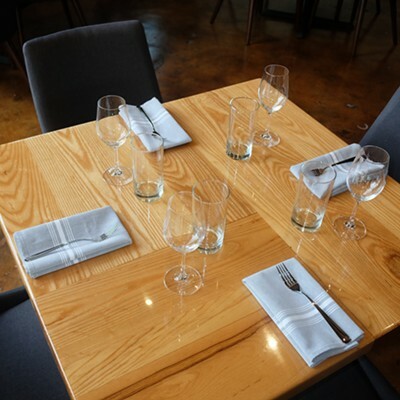 No two have done more than Michael Hudman and Andy Ticer (Andrew Michael Italian Kitchen, Hog & Hominy, Catherine & Mary's, Gray Canary) to make Memphis a really interesting place to eat. Sure, good food was here eons before Ticer and Hudman, but what they've brought is style, drive, and wit to their food. They both push boundaries while paying upmost respect to their forebears. Carey Bringle (Peg Leg Porker, Nashville); Sean Brock; Gerard Craft (Pastaria Nashville; Sardella, Taste Bar, Brasserie by Niche & Porano Pasta, St. Louis); Kelly English (Restaurant Iris); Jose Enrique (Jose Enrique, Puerto Rico); Sarah Grueneberg (Monteverde, Chicago);Kevin Gillespie (Gunshow, Atlanta); Erling Jensen (Erling Jensen); Jeremiah Langhorne (The Dabney, Washington, DC); Jonathan Magallanes (Las Tortugas); Kevin Nashan (The Peacemaker & Sidney Street Café, St. Louis); Ryan Prewitt(Pêche Seafood Grill, New Orleans); Patrick Riley (The Majestic Grill); Chris Shepherd (UB Preserv, Houston); Jason Stanhope (FIG, Charleston); Stephen Stryjewski (Cochon, New Orleans); Ryan Trimm (Sweet Grass & Next Door); Jason Vincent (City Mouse, Chicago); and more chefs to be announced. Davin & Kellan Bartosch (WISEACRE Brewing Co); Alba Huerta (Julep, Houston); Jayce McConnell (Edmund’s Oast, Charleston); RoyMilner  (Blackberry Farm Brewery, Maryville, TN); Preston Van Winkle (Old Rip Van Winkle Distillery, Louisville); and more to be announced. Tickets are $250; $350 VIP. Benefiting St. Jude Children's Research Hospital. Katelyn McMurry says she tries to stay away from bread, but one of her favorite foods is the blueberry muffin. It’s okay, though, it’s a blueberry muffin protein shake, which clocks in at about 200 calories. McMurry and her husband Seth opened Nutrition Bar in East Memphis a few weeks ago. It is the sister shop to Nutrition Hub in Germantown. McMurry says that folks would drive from Midtown for their protein shakes. McMurry got into protein shakes because both she and her husband are athletes. But, the protein shakes they knew were chalky and gross. These are not — they taste like milkshakes and come in indulgent flavors such as apple pie, snickers, Tootsie Pop (orange and chocolate), dulce de leche, and glazed donuts (!). Nutrition bar also offers energy teas and aloe shots, which help with digestion issues. McMurry says shakes are good for something quick and easy. But they are not everything and shouldn’t replace every meal. “You’re going to need something to eat,” she says. Nutrition Bar is open from Monday through Friday, 7 a.m. to 3 p.m. and Saturdays, 8 a.m. to 3 p.m.
Carlisle announced today that the Downtown LYFE Kitchen has closed. Carlisle has sold the brand back to the franchisee. The first LYFE Kitchen opened in 2015. It was the first LYFE with a bar. It is now a Central BBQ. 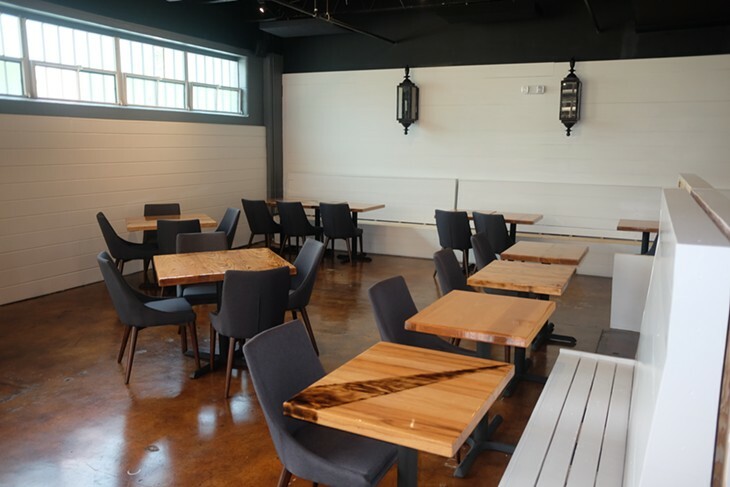 A second restaurant on South Main opened in 2016. I reached out to LYFE and the Carlisle Group earlier this week regarding rumors that it was closing. I was told that it was just the weekend, which I tweeted. I apologize for the error. A Carlisle representative said that that was initially the plan, but within 72 hours that plan changed. Carlisle today announced the sale of the LYFE Kitchen brand to LYFE Kitchen franchisee L3 Hospitality Group based out of Chicago. In conjunction with the sale, the LYFE Kitchen restaurant located in downtown Memphis has been closed. Carlisle has refocused on its core Wendy’s restaurants growing from 74 restaurants to nearly 152 across the southeastern United States over the past few years. Carlisle, the developer of the One Beale project in downtown Memphis, also has announced its intention to start construction on the combined $135 million mixed use development in early 2019 in its long quest to transform the Memphis riverfront. “Lyfe Kitchen was a fantastic brand that looks to change how we perceive ‘healthy food’. Unfortunately, as we aligned our strategic priorities, we did not have the time or resources necessary to fulfill Lyfe’s potential and felt a divesture made sense of all parties,” said Chance Carlisle, CEO of Carlisle. “We have our plate full with the start of One Beale and the continued opportunistic growth of our Wendy’s business as we continue to evaluate expansion options. 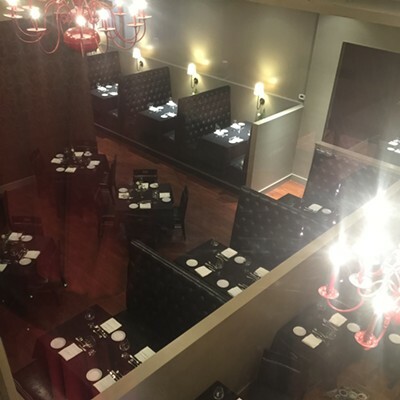 Ronnie Grisanti's restaurant in the Regalia shopping center is slated to open Sept. 28. 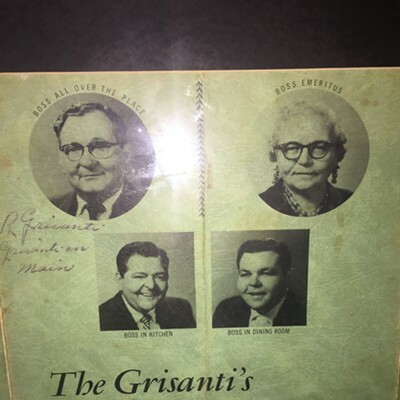 You can go home again — if you’re a fan of the late Ronnie Grisanti and his uncle Big John Grisanti. But you’ll have to wait until September 28th. That’s when Ronnie Grisanti’s, the new restaurant owned by chef Judd Grisanti, son of Ronnie Grisanti, is slated to open at 6150 Poplar in the Regalia shopping center. 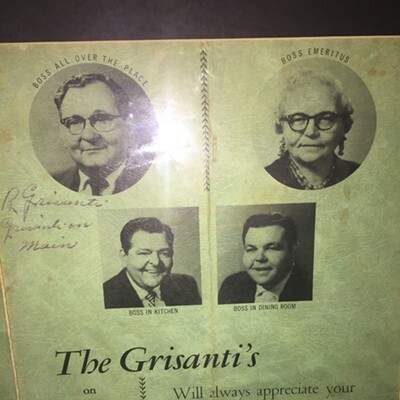 Ronnie Grisanti’s is reminiscent of the restaurant owned by Ronnie on Poplar and the one owned by Big John on Airways. 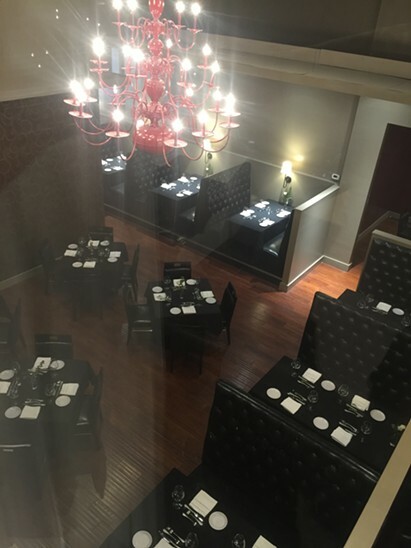 The new 4,700 square-foot restaurant, in shades of burgundy wine and gold, features seating for 132 inside and 26 outside on the patio. It evokes the past but it also is contemporary. 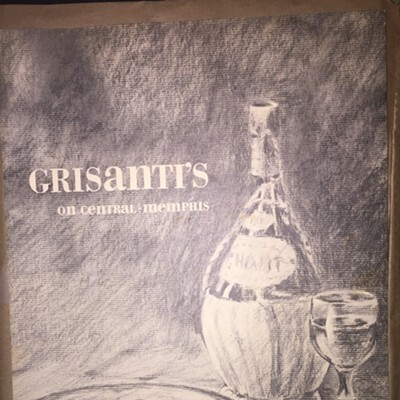 The menu includes Grisanti favorites, but it also will include some high-tech dishes made with kitchen equipment that wasn’t around when Judd’s grandfather, Elfo Grisanti, had a restaurant on South Main. Launch Process opened late last May in the old French Truck space off of Broad while Maciel's Bodega was still there. It was an offshoot of what Launch Process was already doing — at-home delivery, meeting people in the Kroger parking lot to deliver its product, goods offered through Shopify, says Jimi Myers. Launch Process operates under a DIY principle. The idea is to get more small businesses like itself off the ground — hence, the launch in the name. Myers says he keeps his roasts light, to let the beans tell the story. He says he's part of the third wave of area coffee roasters — including Low Fi, Dr. Bean, City & State, among others. The first wave was when Folgers ruled the roost. The second was the coming of Starbucks. The third wave focuses on technique. "It's about how to get the best flavors out of beans," he says, comparing this particular wave to being akin to wine connoisseurship. Actually, he says, he straddles the second and third wave. He's concerned about flavor but also about accessibility. Launch Process offers pour overs and espressos, frappes and chai teas. Syrups are made in-house. They also have bubble teas (!) and smoothies. Myers says the bubble teas are hold-overs from Maciel's. He decided to keep them because they are different, and they are rare in Midtown. As for the smoothies, it's just something he's always liked to do. Myers says Launch Process mostly attracts a Midtown crowd, but that plenty of folks commuting from out east stop by on their way in. The next step for Launch Process is to convert the small front sitting area into a cooperative, where folks can sell their stuff. He's already working with Illuminati Body & Body for a line of soaps and body scrubs which use their products, including a pumpkin spice shampoo bar and a Bigfoot bubble bath. A few weeks back, Launch Process spread out with its newest pop up The Penny Lounge Coffee Bar, inside Growlers in Midtown. It was something fun to do, says Myers. They have a dedicated space in the back. The name is inspired by a Twilight Zone episode. He wants the atmosphere to give off a vaudeville vibe and to be both whimsical and a little spooky. He'll show silent movies. The Penny Lounge, currently open 11 a.m. to 3 p.m. Saturday and Sunday, offers coffee drinks as well as coffee cocktails. They also serve fire drinks and absinthe. The plan is to open a few nights a week and then expand the hours to every night. Maybe eventually make it a permanent space. Myers stresses that it's just himself and a couple of "awesome" employees. "We're keeping it super DIY," he says. Loeb Properties announced this morning the opening of Open Flame on Poplar at Highland. 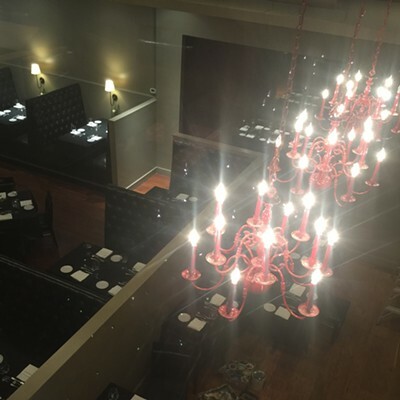 It is the second restaurant from the owners of Kabob International. Loeb Properties is pleased to announce the opening of Open Flame restaurant at University Center. Located at 3445 Poplar Avenue at Highland Street, Open Flame is the new location and name for the popular Kebob International restaurant, formerly of Cordova. 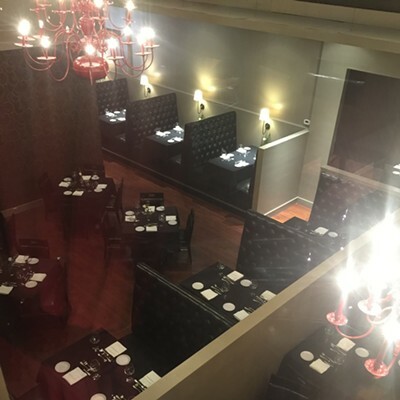 Owners Sharzad and Mansour Ashrafieh are renowned in Memphis for their authentic signature Persian and Mediterranean dishes, specializing in shish kabob, kosher, and halal fare. The Ashrafieh's famous hospitality extends to evening events including belly dancing; catering and group events are available upon request. The new Lucky Cat will be more than ramen. 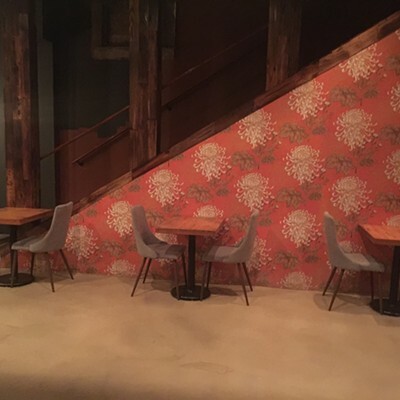 Get ready for a sensual feast when Lucky Cat opens in October at 2583 Broad. And that’s not just the food. The subdued lighting combines with the rich-looking wood on the bar and tables and the floral and geometric prints on the wall. 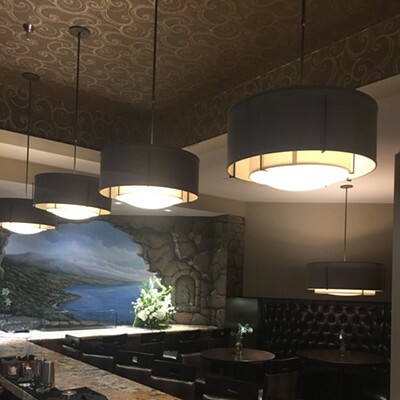 The restaurant is sleek and elegant but it also creates an atmosphere where guests will have a good time whether they’re in jeans or dressed to the nines. For the bar, they’re “trying not to focus on top-tier liquors, but the flavor combinations and technique." Nicholson and his wife, Sarah, will be at the helm at the two-story restaurant that includes an extremely spacious patio. 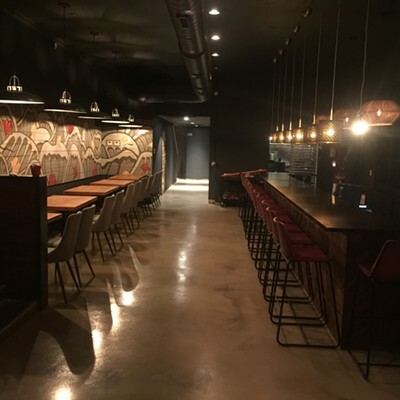 The Nicholsons began making and selling ramen dishes at Lucky Cat Ramen pop-up restaurants around town before moving into their first temporary brick-and-mortar restaurant at 247 Cooper. The new 5,600-square foot restaurant will be in the former Jack Magoo’s space. They’re already purchased a 12-foot blood red Japanese maple tree that will arch over the patio, Nicholson said. Eli Townsend, who's worked with Kaleidoscope Kitchen and Caritas Village, hooked up with some investors who were interested in something different Downtown. Townsend says he's wanted to open a restaurant for a couple years now, but the partnership with the unnamed investors gives him creative freedom. His work with Kaleidoscope inspired the fusion idea. His students are mostly immigrants and refugees. He says they taught him as well. 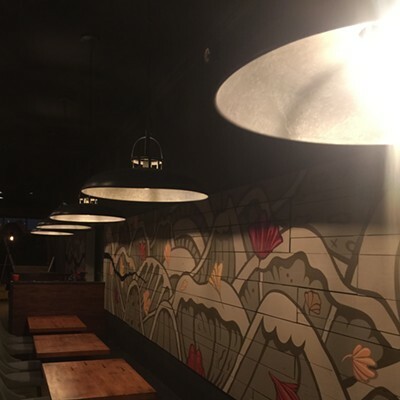 Sage will start off with a menu of Asian-soul fare. We're talking fried green tomatoes with a kim chi salad, cauliflower rice, and "soulful" Bento Boxes for lunch with a side salad, Teriyaki meatloaf, and sautéed bok choy. Townsend says his cooking journey started in Frayser at the Bookmobile. He gravitated toward the cookbooks and spent his allowance at thrift stores on pots and pans. His first meal, at 8, was fried chicken and spaghetti. "I wanted to help my mom," he says. "It was a disaster." His mother was unhappy because he was ruining food, but after a while she recognized his enthusiasm and started to teach him things. He chose Sage as the name of his restaurant to represent both the herb used in cooking and the idea of sage as a way to revigorate a space. He wants to cleanse the atmosphere, create a neutral space that's open to positive vibes and energy. "You won't think of Oshi when you walk in," he says. 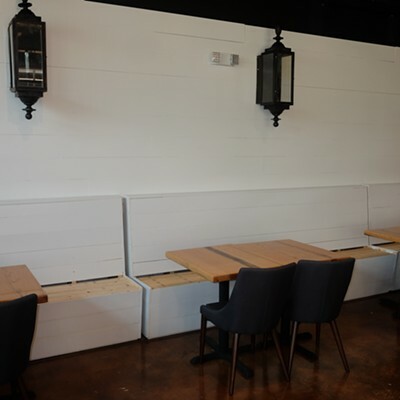 The new restaurant will still have the bar in the back, but a long family-style table has replaced the booths. As far as luring people into Sage, he says, the plan is to "really focus on stellar service and great food." 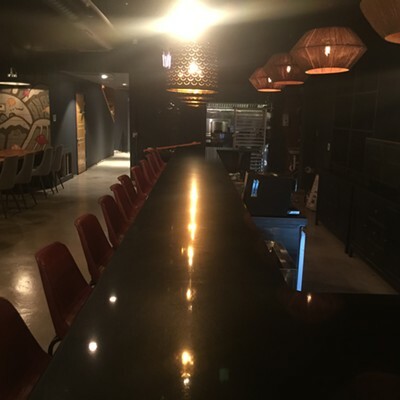 After Asian-Soul, Townsend will change up the menu. He plans on Sudanese- and Syrian-Soul fusion. "It's a voyage around the world," he says. Over the weekend, a shopper at the New Trader Joe's in Germantown noticed her complimentary tote bag read Nashville. Read the thread, folks, it is hilarious. But then. THEN. Someone from a Trader Joe's fan page suggested that it took a while for stores to earn their bags. What-the-what? We don’t have an official stance on this, and the Facebook post was not made on behalf of Trader Joe’s. We are thrilled to be in Germantown, and we can assure anyone concerned that there was no hidden message in our bag giveaway. Not every region has its own, area-specific bag (yet, anyway! ), but customers are welcome to return to the store and trade their complementary Nashville bags for complementary, non-location-specific TJ's bags—our Crew will be happy to assist. Announced this morning: Saucy Chicken opens today at 10:30 a.m. in the Crosstown Concourse in the space that once held Mama Gaia. 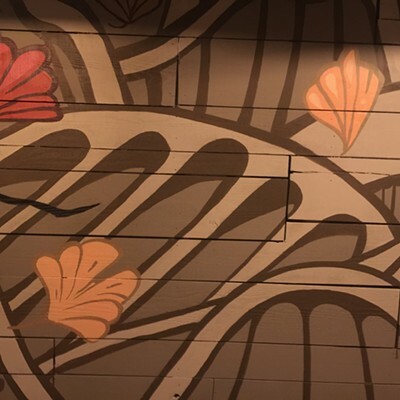 Saucy Chicken, a fast-casual restaurant offering traditional Southern cuisine, announced today it is now open for business in Crosstown Concourse. With antibiotic-free chicken and dishes made with locally sourced ingredients, Saucy Chicken focuses on creating affordable, quality food that caters to the palates of Mid-Southerners. Saucy Chicken’s name derives from the various homemade sauces it will offer to accompany its Southern-inspired dishes. Chef Celina Webb, formerly of Alchemy, created six signature sauces from scratch that will be made in-house daily. Sauces include Saucy Chicken’s signature Saucy Sauce and Crosstown Comeback, bleu cheese, honey mustard, ranch, house barbecue, spicy mustard and sweet and spicy. There are also options for tossed tenders, including garlic parmesan, buffalo, house barbecue, sweet and spicy and the signature Saucy Wing Sauce. Webb will also develop daily plate specials and dessert specials to add variety to the menu. In addition to fried chicken, Saucy Chicken’s menu also boasts grilled chicken, shrimp and catfish po’boys, deli sandwiches, salads and more. The restaurant will be open Monday-Friday from 10:30 a.m.-8 p.m. and Saturday-Sunday from 11 a.m.-3 p.m. 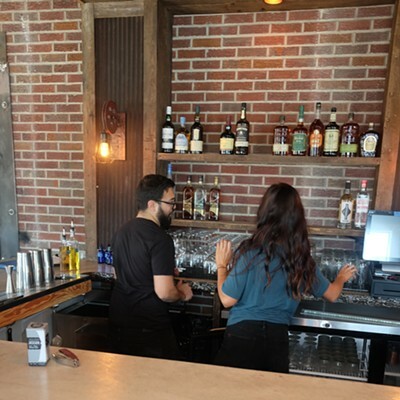 Founded in Memphis, Tennessee, in 2018, Saucy Chicken is a fast-casual restaurant inspired by traditional Southern cuisine. It is a sustainable establishment offering antibiotic-free chicken and dishes featuring locally-sourced ingredients at affordable prices. It's a 180 turn from Mama Gaia's all-vegetarian focus. Saucy Chicken is owned by an ownership group which includes Philipp von Holtzendorff-Fehling, co-owner of Mama Gaia with his wife Cru, who is not involved in the restaurant.